PHOTO OF LEE HARVEY OSWALD IN WINDOW AFTER JFK ASSASSINATION – FAKE! I say TOTAL BULL &^*! 2 Responses to PHOTO OF LEE HARVEY OSWALD IN WINDOW AFTER JFK ASSASSINATION – FAKE! This looks like Dillard Exhibit A, XIX p. 563. 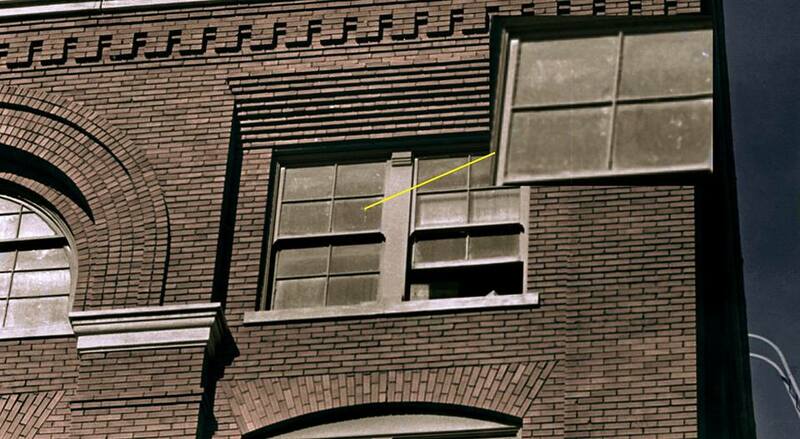 There appears to be a figure standing by the window next to the so-called “sniper’s nest” but the facial features do not resemble Oswald at all. A little late to the party but…the “Oswald” face in the window is way too large. he could have been standing on a box but the size of the head compared to the 2 guys in the window below is absurd. He also should have been busy hiding his rifle and fleeing the 6th floor by now, no?